Please find below an update on 31 Norfolk Place, the proposed Frontline Club Annex, explaining how you can help. We need your support to get this. If you have already sent in letters or emails of support, we will submit them on your behalf. We are very grateful. The Frontline Club has taken over the lease in the building opposite at 31 Norfolk Place to use as an Annex, mainly to provide nine bedrooms for members. They are badly needed as currently we only have two bedrooms. We will move our offices into the basement and employ the ground floor retail unit as high quality newsagents. The bedrooms are essential not only for our overseas members but also UK ones who no longer have an office/base in London. The location of this building is ideal, being exactly opposite the Club and we think we are unlikely to get an opportunity like this again. We submitted a pre-planning enquiry to Westminster Council on 26 November to change the use of three single bedroom flats but were advised on 14 January that the planning department considered the retention of residential use, a Westminster planning priority, to be preferential to the Club’s planned Annex. We submitted a full planning application for the conversion on 30 January but it is clear that we can only succeed if we persuade the planning authority of our true value to London and Paddington, which I think they don’t currently appreciate. – or writing directly to Westminster City Council 9 (WCC), City Hall, 64 Victoria Street, London SW1E 6QP quoting reference number 14/00855/FULL. It is important that your support shows WCC the positives the Frontline Club brings to you, London and Paddington. If you have already submitted a letter we will put it online for you. We only have one shot at this and we need to gain as many letters of support and/or online comments as possible to ensure that the application is presented to the Planning Committee Members (Councillors) rather than being determined by officers, so that our application can be more fully assessed. If you need further information please contact Vaughan at [email protected]. If you are a local resident or work in the Westminster area, please state this. The council will appreciate more highly the value to residents and local area concerns. For 10 years, the Frontline Club has been good for the local area. 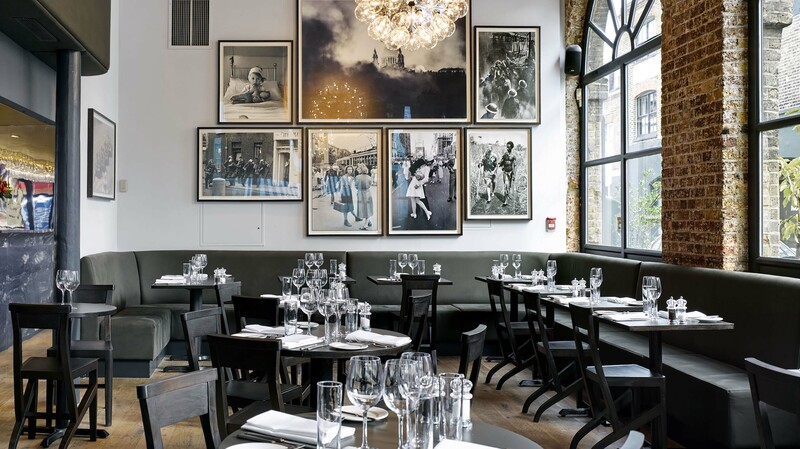 Our destination restaurant brings people into Paddington and has won awards. Before the Frontline Club, Paddington was not included as an area on its own in the restaurant guides. We have run 2,000 well-attended public events since launch in 2003. Over 500 members and guests come to Paddington each week to use the club facilities and attend the events. Frontline events are listed in Time Out and other London event listings, again putting Paddington on the map for theatre, exhibitions, lectures, events and screenings. 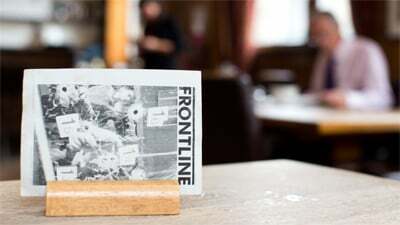 Frontline runs training courses for journalists, has a unique standing photojournalism exhibition open to the public, regularly collaborates with many educational establishments and gives out all of our event recordings for free. We offer student discounts at our events and we host the UK’s annual student newspaper meeting. FC is an internationally regarded social enterprise that exists to support diversity and professionalism in journalism, promote safe practice and hold public meetings. 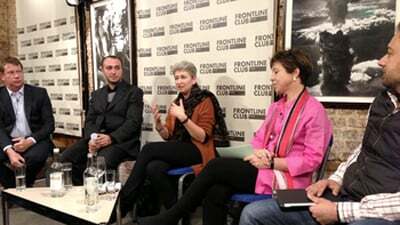 The Frontline Club delivers a programme of events that promotes freedom of speech in nine other countries. Most other clubs in London have bedrooms – it’s considered to be a service normally expected by club members and since the Frontline Club’s members travel a great deal they have particular need of them. Paddington is an ideal place for the Frontline Club because of its excellent communications, including its fast link to Heathrow Airport. This will only improve with Crossrail. Few members choose to stay in local hotels, which provide for businessmen and budget travellers. When members can’t stay in their club and either can’t or don’t want to stay in the area, then the Frontline Club’s value to them is diminished. The Frontline Club bedrooms are decorated as part of the club and are therefore full of character. Members feel home from home. It’s ideal for keeping up with friends and contacts, which is hard for people often on the road. British press clubs don’t compare to those in North America or most other countries in Europe. There is a press club in pride and place in most US cities. Washington’s press club overlooks the White House. The Wig and Pen Club went under, the Foreign Press Club has lost it’s building and is temporarily homeless. The London Press Club lost its premises years ago and currently rents space from the Adam Street Club. The Frontline Club is the only press club in London with its own clubroom. As a social enterprise we need the funding that the bedrooms will deliver to reduce our reliance on volunteers and secure the Frontline Club’s future. We have been looking for a local hotel that we could improve for four years without result as they rarely come available in the area. We were very lucky to get 31 Norfolk Place though it is not a hotel – especially as it is directly opposite. It could not be more suitable.